Carlos Rangel, D.C., is a chiropractor located in Bakersfield, CA. Take the next step and contact Dr. Carlos Rangel, D.C., for a consultation in Bakersfield, CA or to get more information. Larry M Kinoshita, D.C., is a chiropractor located in Bakersfield, CA. Take the next step and contact Dr. Larry M Kinoshita, D.C., for a consultation in Bakersfield, CA or to get more information. Gary Evans, D.C., is a chiropractor located in Bakersfield, CA. Take the next step and contact Dr. Gary Evans, D.C., for a consultation in Bakersfield, CA or to get more information. Grant D Hoffman, D.C., is a chiropractor located in Bakersfield, CA. Take the next step and contact Dr. Grant D Hoffman, D.C., for a consultation in Bakersfield, CA or to get more information. Michael Bensusen, D.C., is a chiropractor located in Bakersfield, CA. Techniques: • Thompson • Diversified • Meric • Applied Kinesiology Take the next step and contact Dr. Michael Bensusen, D.C., for a consultation in Bakersfield, CA or to get more information. Michael A Thompson, D.C., is a chiropractor located in Bakersfield, CA. Techniques: • Diversified • Activator Methods Take the next step and contact Dr. Michael A Thompson, D.C., for a consultation in Bakersfield, CA or to get more information. R Michael Mass, D.C., is a chiropractor located in Bakersfield, CA. Techniques: • Diversified • Activator Methods Take the next step and contact Dr. R Michael Mass, D.C., for a consultation in Bakersfield, CA or to get more information. Julianne R Searing, D.C., is a chiropractor located in Bakersfield, CA. Techniques: • Cox • Diversified • Chiropractic Biophysics • Activator Methods Take the next step and contact Dr. Julianne R Searing, D.C., for a consultation in Bakersfield, CA or to get more information. Susan Sterner, D.C., is a chiropractor located in Bakersfield, CA. Take the next step and contact Dr. Susan Sterner, D.C., for a consultation in Bakersfield, CA or to get more information. Charles J Ruffino, D.C., is a chiropractor located in Bakersfield, CA. Take the next step and contact Dr. Charles J Ruffino, D.C., for a consultation in Bakersfield, CA or to get more information. Niels Jensen, D.C., is a chiropractor located in Bakersfield, CA. Techniques: • Diversified • Meric Take the next step and contact Dr. Niels Jensen, D.C., for a consultation in Bakersfield, CA or to get more information. David Diehl, D.C., is a chiropractor located in Bakersfield, CA. Take the next step and contact Dr. David Diehl, D.C., for a consultation in Bakersfield, CA or to get more information. 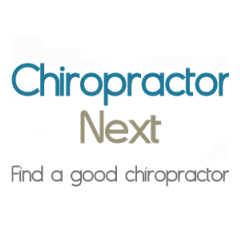 Scott Wright D.C., D.C., is a chiropractor located in Bakersfield, CA. Techniques: • Upper Cervical • Thompson • Hole in One • Atlas Orthogonal Take the next step and contact Dr. Scott Wright D.C., D.C., for a consultation in Bakersfield, CA or to get more information. John L March, D.C., is a chiropractor located in Bakersfield, CA. Techniques: • Diversified • Gonstead • Thompson • Palmer Package Take the next step and contact Dr. John L March, D.C., for a consultation in Bakersfield, CA or to get more information. Laura Smart, D.C., is a chiropractor located in Bakersfield, CA. Take the next step and contact Dr. Laura Smart, D.C., for a consultation in Bakersfield, CA or to get more information. Charles T Dewilde, D.C., is a chiropractor located in Bakersfield, CA. Techniques: • Diversified • Gonstead • Sacro Occipital Technique Take the next step and contact Dr. Charles T Dewilde, D.C., for a consultation in Bakersfield, CA or to get more information. Gregory V Hamilton, D.C., is a chiropractor located in Bakersfield, CA. Take the next step and contact Dr. Gregory V Hamilton, D.C., for a consultation in Bakersfield, CA or to get more information. Steven Ortman, D.C., is a chiropractor located in Bakersfield, CA. Techniques: • Diversified • Gonstead • Activator Methods • Concept Therapy Institute Take the next step and contact Dr. Steven Ortman, D.C., for a consultation in Bakersfield, CA or to get more information. Byron A Dennis, D.C., is a chiropractor located in Bakersfield, CA. Take the next step and contact Dr. Byron A Dennis, D.C., for a consultation in Bakersfield, CA or to get more information. Hector Hinojosa, D.C., is a chiropractor located in Bakersfield, CA. Take the next step and contact Dr. Hector Hinojosa, D.C., for a consultation in Bakersfield, CA or to get more information. Barry L Bender, D.C., is a chiropractor located in Bakersfield, CA. Techniques: • Diversified • Cox • Thompson Take the next step and contact Dr. Barry L Bender, D.C., for a consultation in Bakersfield, CA or to get more information. Brendon C Bradley, D.C., is a chiropractor located in Bakersfield, CA. Techniques: • Diversified • CranioSacral Therapy • Trigger Point Therapy Take the next step and contact Dr. Brendon C Bradley, D.C., for a consultation in Bakersfield, CA or to get more information. Terry Morgan, D.C., is a chiropractor located in Bakersfield, CA. Take the next step and contact Dr. Terry Morgan, D.C., for a consultation in Bakersfield, CA or to get more information. Randal H Clement, D.C., is a chiropractor located in Bakersfield, CA. Take the next step and contact Dr. Randal H Clement, D.C., for a consultation in Bakersfield, CA or to get more information. M Dana Bryan, D.C., is a chiropractor located in Bakersfield, CA. Take the next step and contact Dr. M Dana Bryan, D.C., for a consultation in Bakersfield, CA or to get more information. Bradley A Dodenhoff, D.C., is a chiropractor located in Bakersfield, CA. Techniques: • Diversified • Gonstead Take the next step and contact Dr. Bradley A Dodenhoff, D.C., for a consultation in Bakersfield, CA or to get more information. George T Tatsuno, D.C., is a chiropractor located in Bakersfield, CA. Techniques: • Palmer Package • Gonstead • Sacro Occipital Technique Take the next step and contact Dr. George T Tatsuno, D.C., for a consultation in Bakersfield, CA or to get more information. James Ryan, D.C., is a chiropractor located in Bakersfield, CA. Techniques: • Applied Kinesiology • Diversified • Network • Sacro Occipital Technique Take the next step and contact Dr. James Ryan, D.C., for a consultation in Bakersfield, CA or to get more information. Fred L Mills, D.C., is a chiropractor located in Bakersfield, CA. Techniques: • Palmer Package • Hole in One • Upper Cervical Take the next step and contact Dr. Fred L Mills, D.C., for a consultation in Bakersfield, CA or to get more information. Douglas Brooks, D.C., is a chiropractor located in Bakersfield, CA. Techniques: • Activator Methods • Atlas Orthogonal • Biomechanics • Diversified • Gonstead • Palmer Package • NUCCA Take the next step and contact Dr. Douglas Brooks, D.C., for a consultation in Bakersfield, CA or to get more information. Rhonda J Richmond, D.C., is a chiropractor located in Bakersfield, CA. Techniques: • Activator Methods • Diversified Take the next step and contact Dr. Rhonda J Richmond, D.C., for a consultation in Bakersfield, CA or to get more information. David T Mongold, D.C., is a chiropractor located in Bakersfield, CA. Take the next step and contact Dr. David T Mongold, D.C., for a consultation in Bakersfield, CA or to get more information. Kelly C Reed, D.C., is a chiropractor located in Bakersfield, CA. Take the next step and contact Dr. Kelly C Reed, D.C., for a consultation in Bakersfield, CA or to get more information. Richard T Ackerman, D.C., is a chiropractor located in Bakersfield, CA. Techniques: • Activator Methods • Manual Adjusting Take the next step and contact Dr. Richard T Ackerman, D.C., for a consultation in Bakersfield, CA or to get more information. Jerry Marquez II, D.C., is a chiropractor located in Bakersfield, CA. Take the next step and contact Dr. Jerry Marquez II, D.C., for a consultation in Bakersfield, CA or to get more information. Kevin J Clerico, D.C., is a chiropractor located in Bakersfield, CA. Techniques: • Diversified • Leander • Thompson • Sacro Occipital Technique • Activator Methods • Cox • Trigger Point Therapy Take the next step and contact Dr. Kevin J Clerico, D.C., for a consultation in Bakersfield, CA or to get more information. K Eric Tryggestad, D.C., is a chiropractor located in Bakersfield, CA. Techniques: • Thompson • Diversified • Activator Methods Take the next step and contact Dr. K Eric Tryggestad, D.C., for a consultation in Bakersfield, CA or to get more information. Shawn Dodd, D.C., is a chiropractor located in Bakersfield, CA. Take the next step and contact Dr. Shawn Dodd, D.C., for a consultation in Bakersfield, CA or to get more information. Gregory R Heyart, D.C., is a chiropractor located in Bakersfield, CA. Techniques: • Activator Methods • Manual Adjusting Take the next step and contact Dr. Gregory R Heyart, D.C., for a consultation in Bakersfield, CA or to get more information. Stephen W Elder, D.C., is a chiropractor located in Bakersfield, CA. Techniques: • Palmer Package • Diversified • Thompson • Sacro Occipital Technique • Gonstead Take the next step and contact Dr. Stephen W Elder, D.C., for a consultation in Bakersfield, CA or to get more information. Carlos Reyes, D.C., is a chiropractor located in Bakersfield, CA. Techniques: • Gonstead • Diversified • Traction Take the next step and contact Dr. Carlos Reyes, D.C., for a consultation in Bakersfield, CA or to get more information. James R Turner, D.C., is a chiropractor located in Bakersfield, CA. Techniques: • Diversified • Gonstead • Activator Methods Take the next step and contact Dr. James R Turner, D.C., for a consultation in Bakersfield, CA or to get more information. Charles F Wortiska, D.C., is a chiropractor located in Bakersfield, CA. Techniques: • Gonstead • Palmer Package Take the next step and contact Dr. Charles F Wortiska, D.C., for a consultation in Bakersfield, CA or to get more information. Randall William Schulze, D.C., is a chiropractor located in Bakersfield, CA. Techniques: • Diversified • Thompson • Trigger Point Therapy • Travell Soft Tissue • Traction • Activator Methods Take the next step and contact Dr. Randall William Schulze, D.C., for a consultation in Bakersfield, CA or to get more information. Thomas W Manzella, D.C., is a chiropractor located in Bakersfield, CA. Techniques: • Diversified • Thompson • Activator Methods Take the next step and contact Dr. Thomas W Manzella, D.C., for a consultation in Bakersfield, CA or to get more information. David R Camenisch, D.C., is a chiropractor located in Bakersfield, CA. Take the next step and contact Dr. David R Camenisch, D.C., for a consultation in Bakersfield, CA or to get more information. Craig D Gunderson, D.C., is a chiropractor located in Bakersfield, CA. Techniques: • Diversified • Flexion-Distraction • Cox • Manual Adjusting • Manipulation Under Anesthesia Take the next step and contact Dr. Craig D Gunderson, D.C., for a consultation in Bakersfield, CA or to get more information. Paul Guiney, D.C., is a chiropractor located in Bakersfield, CA. Techniques: • Activator Methods • Directional Non-Force Technique • Diversified • Manual Adjusting • Soft Tissue Orthopedics • Traction Take the next step and contact Dr. Paul Guiney, D.C., for a consultation in Bakersfield, CA or to get more information.